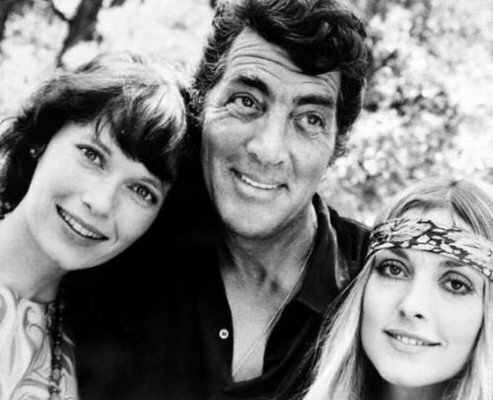 Dean Martin with Mia Farrow & Sharon Tate. . Wallpaper and background images in the Dean Martin club. This Dean Martin photo contains портрет, выстрел в голову, близком расстоянии, макро, and крупным планом.